No. That does not remotely explain the discrepancy here. Wave one saw most every store stocked with plenty of product that remains in many stores to this very day. There hasn't been one store since Wave two was announced that has displayed a full or even partial display of all those products, many of which are still b-list characters. I've watched endless videos and posts from people all over the country and they all read just like mine. Plenty of Wave one with just a few Wave two figures here and there. You can't make 212,000 figures in each wave just disappear everywhere at once. I've never been a fan of Target for exclusives because they do not stock much of anything like they should be exclusives. I'm waiting on a CD right now that was supposed to be a store exclusive a week ago and nothing has been stocked yet. So my experience with them has seldom provided the goods as advertised. And when it comes to retro product from other companies, Target has developed cold feet extremely early on those product lines. 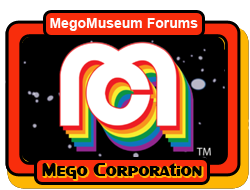 I'm not saying they've given up on Mego, but these delays certainly aren't helping the cause on a product line with an expiration date. Its just another example of Target buying a line they cant seem to get out to the public. I'll be glad when they are out of the equation as the only resource to get these figures. I'm happy they gave an end cap experience, but now its time to move on. Hard to tell if the acoustic guitar is just a cardboard prop or not - but is it just me or is there a pair of groovy mod sunglasses in there, to the right of Serena's head? Also, someone pointed out that Endora's costume colors are flipped - green dress with purple cape instead of purple dress with green cape, like on the show. I don't really care. I like the green. I always thought the opposite was a little too like Catwoman. These clothes are great. I want the Marcia Brady dress too. I feel like I could dress up a Samantha figure in that so I could have the "hippie" style Samantha from later seasons. I just don't want to buy Marcia! Marcia Marcia Marcia! Oh, cool! 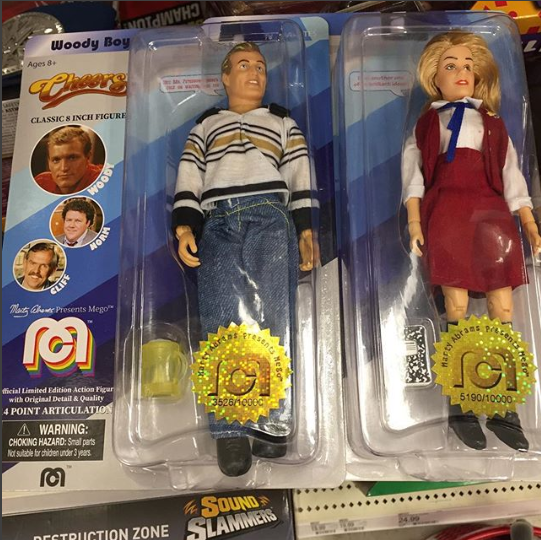 I still haven't seen snaps of all 20 dollies, but Blaire was the only one that I hadn't yet seen some sort of confirmed sighting of. How do we post IG pics here, anyway? EDIT: Nevermind, I think that I was thinking of Paige. Member tilgn mentioned last night that his relative had seen Blaire. The IG question still stands! Last edited by toothaction; Oct 23, '18 at 12:16 PM. The guitar looks plenty three-dimensional to me - you can see the plastic straps that are holding it in place, as well as the little holes that the top fastener was fed through. You could be right about those shades! Hadn't noticed them until you pointed them out. Sorry about all of the posts in a row! the guitar must be plastic, why would they tie down a cardboard cutout? My wife just ran to Target for tissues, dryer sheets and sour cream, only to return with a Werewolf for me. 2018 meets 1975; when it works it's really fun.